It is exactly as advertised. Very good, thanks. This replaced a cap bit I had custom made, and it is a better match to my uniform and a better quality. Thank you! 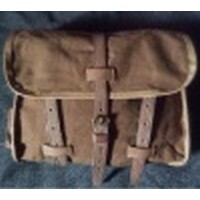 Nice reproduction, fine cloth, will look great with my WWI Royal Flying Corps uniform. Note: the sweat band stitching definitely needs some improvement. Overall, a nice product. Recommended. Superb fit and great quality.my mates a stickler for accuracy and having seen mine will be ordering his own! Excellent product, maybe a little bit tight. I order a 60 and it looks like a 59. Really excellent. Fits like a glove. Even smells right. A nice reproduction of the FS cap. Quality material and construction appears good and shipping was quick as usual. Fast shipping and a perfect fit. Smart looking when worn at a tilt and very comfortable to wear. It''s far more attractive to wear than a big floppy WWII beret far more comfortable than the service dress cap, though not quite as attractive. I replace the general service buttons with Royal Artillery buttons and wear a blackened bronze flaming bomb cap badge on the left side. Believe me that for reasons of proportions and appearance this IS the badge to wear on this cap if doing an artillery officer impression and you have one available. All in all, a nice product. It loses one star because I think the sweat band stitching leaves a bit to be desired,but overall, I''m very pleased with the product. It looks just smashing with my KD belted bush jacket! Just a quick note to say that I'm very happy with my new FS cap. The shipping was very quick and the order was filled correctly. The cut and quality of the wool look great.